The MFJ-931 will effectively place your radio near an actual earth ground potential even if your radio is on the second floor or higher or located in the center of your home with no earth ground physically possible! It electrically places a far away RF ground at your radio. The MFJ-931 creates this artificial ground by using a random length of wire that you simply toss on the floor. 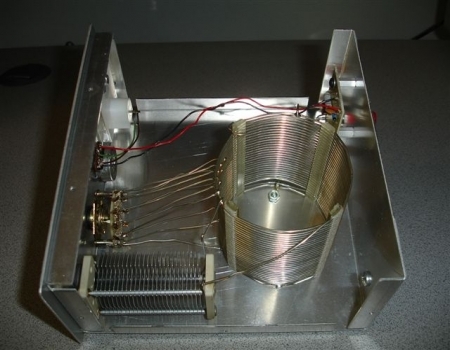 It resonates this wire which produces a tuned counterpoise. 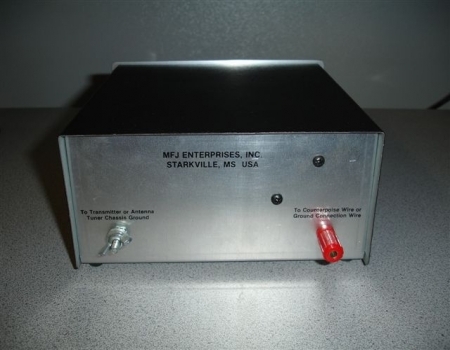 Also, the MFJ-931 will electrically place a far away RF ground directly at the radio. It does this by reducing the "electrical" length of the ground connection wire to virtually zero by tuning out its reactance(opposition to a sinusoidal alternating current). The MFJ-931 connects between your rig and a random length of wire or a connecting ground wire. It's then tuned for maximum ground current using the built-in RF ammeter. 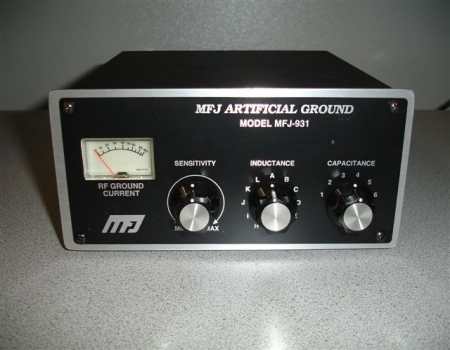 The MFJ-931 Artificial RF Ground covers 1.8 through 30 MHz and measures in at 7 1/2" wide by 3 1/2" high by 7" deep. These next two photographs show the inside of the MFJ-931. As can be seen, there is not a lot inside. 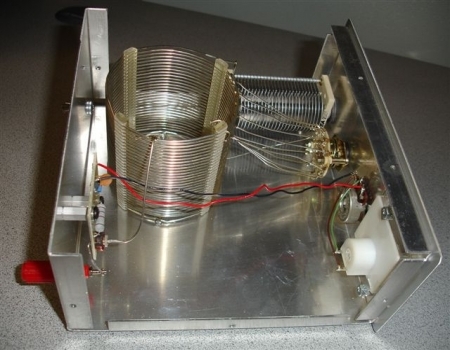 Besides the meter, the two other major components is the inductance coil and a variable capacitor.